When it comes to janitorial services in the Kansas City area, Crystal Clear is your professional resource. We offer commercial cleaning services that make a clear difference in the environment that you work in. A key factor to running a successful business is maintaining clean bathroom facilities. Whether you’re looking to improve relations with employees or customers, scheduling professional cleaning services for your restroom can be highly beneficial. Let Crystal Clear prove that we are your best choice for choosing a commercial cleaning company! typically take motivation from the view and mood of fellow employees, management, and the quality of facilities. If your restrooms are in a constant state of lamentable filth, morale can drop. At an unconscious level, even your best employees will be wondering as to the level of commitment from their employer. Clean, pleasant restrooms can also affect the daily mood of your business. Constant exposure to poor restroom facilities will lead to more disgruntling. If you work in the service industry, you know that customer satisfaction is the driving factor for success. Patrons who come into a poorly maintained bathroom will translate that level of care into the rest of the operations. Small businesses who receive a negative review due to dirty lavatories may have to deal with less incoming customers and therefore less income. Don’t risk damaging your image — keep it clean! 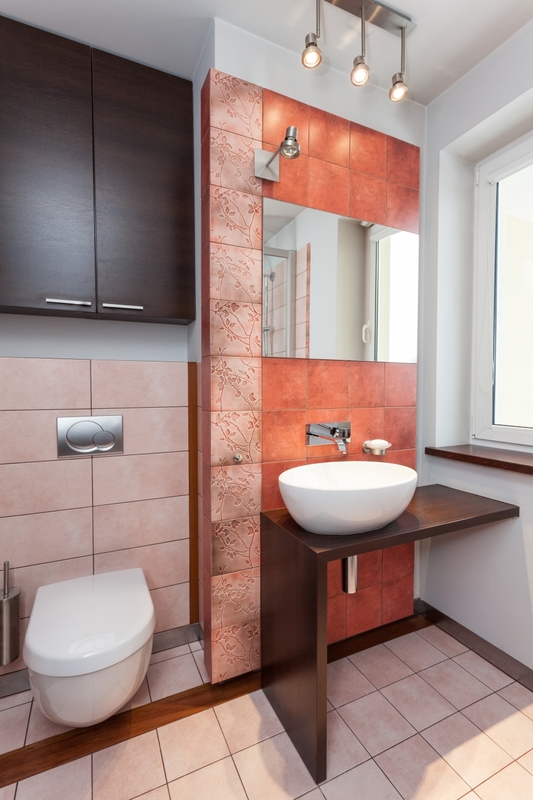 Beyond looking gross, uncleaned bathrooms can also be harmful to your employees and customers. Restrooms are a prime vacation spot for bacteria to relax at. The moisturous conditions are conducive for mold and bacterial growth. These organisms can definitely cause havoc when they come into contact with or are inhaled by humans. Germs also spread rapidly in restrooms. As a central location for bodily processes, bathrooms collect a lot of germs throughout the day. Proper office cleaning (lavatory included!) can sanitize and eliminate much of people’s exposure to nasty germs. This can be especially effective during cold and flu season. Any surface that is touched (handles, spouts, etc.) becomes a bus stop for sickness looking to travel to a new host. Ultimately, the cost of a professional janitorial service can be highly mitigated by the money saved through better employee health. When your workers are healthy, they are both happy and productive. Rampant sick leaves can cripple your bottom line. Keeping a clean bathroom may seem like a trivial task, but in your business, it can make all the difference! Crystal Clear Enterprise is your source for professional janitorial services in Kansas City. Our commitment to safety and quality is what sets us apart from our rivals. Contact us today to see how we can help keep your company image looking fresh!